Create your email marketing campaign! The email marketing specialists at DatabaseUSA.com® can help you get started. 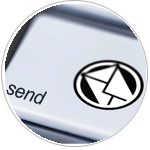 Email is the fastest growing direct marketing channel and is the most affordable form of direct marketing available today. Email marketing is an exponentially better way to track sales and user engagement, plus, email offers the ability to connect with customers through newsletters, loyalty programs and sales. DatabaseUSA.com® is your source for email marketing solutions, tailored to your specific marketing needs. The Email Starter Kit provides a low cost, trackable and quick to organize solution for email marketing campaigns. This email marketing starter kit provides everything you’ll need to deliver a fantastic email campaign. It’s simple and is offered at a low introductory cost. Complete the form or call us at 877.407.0101 for more information on our Email Marketing Solutions.